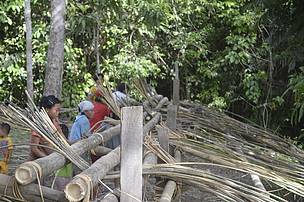 Sustainably produced rattan helps secure vital habitat for wildlife while improving livelihoods. 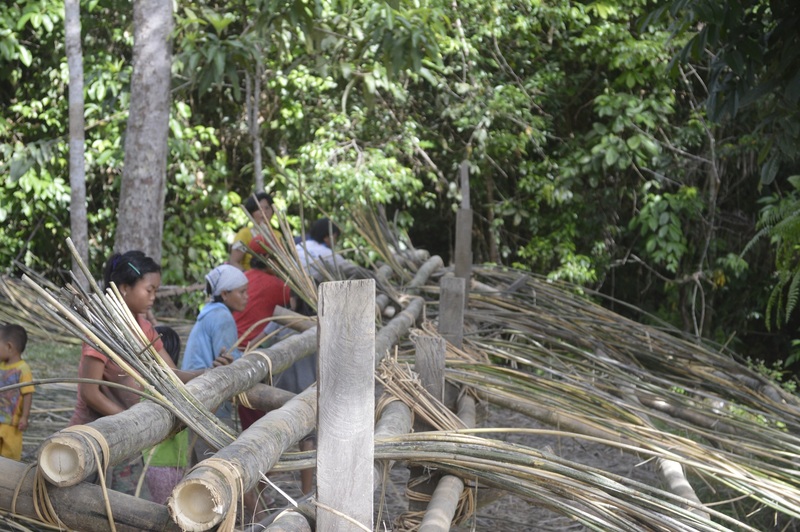 In a move that could benefit smallholders and biodiversity alike, a district on the island of Borneo has become only the second place in the world to produce rattan certified by the Forest Stewardship Council (FSC). The Katingan Farmers Rattan Group, or P2RK, represents more than 200 farmers in Central Kalimantan in the Indonesian part of the island. Their certification is the result of several years of work in partnership with WWF. Harvesting rattan, a climbing vine-like palm native to the region, can be a sustainable way for local people to make a living. Widely used in furniture, handicrafts and other applications, rattan supports a global industry worth more than US$4 billion a year. Because it needs trees to grow, rattan can provide an incentive for communities to conserve and restore the forest on their land. However, prices paid to rattan harvesters in Indonesia are low. As a result, many smallholders are turning away from rattan production to less sustainable alternatives. With FSC certification, P2RK smallholders are in a stronger position to command higher prices from buyers supplying high-value markets. WWF research has shown that FSC-certified operators – particularly small producers in tropical countries – earn more than those without certification. 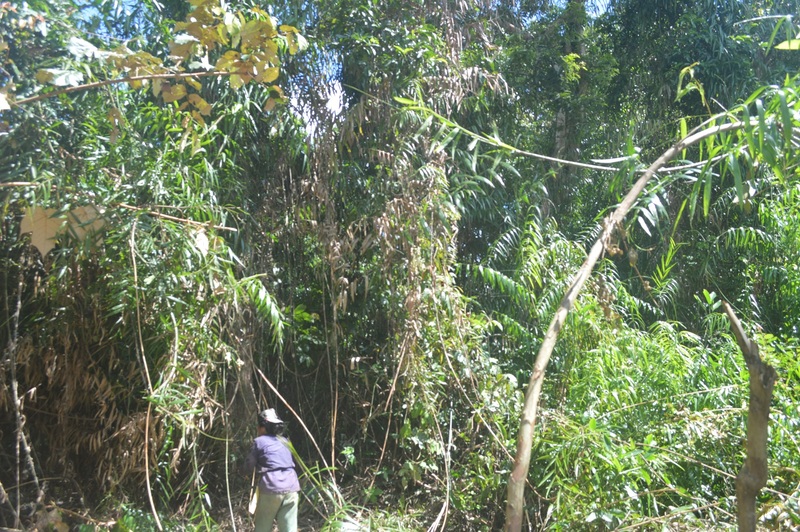 “The area where P2RK operates is identified as High Conservation Value (HCV) forest, so protecting it through implementing responsible rattan management is very important,” says Sarjito. This milestone marks the first time that a non-timber forest product (NTFP) has been certified by FSC in Indonesia. The old-growth dipterocarp forest contains habitat suitable for orang-utans, as well as other primates and endemic birds. Since the majority of Borneo’s critically endangered orang-utans live outside protected areas, conserving their habitat on community-owned land is crucial. WWF-Indonesia began working with P2RK in 2011 to help them prepare for certification, building on similar projects in Laos and the Greater Mekong. Achieving certification has been a challenging process. Previously, there was no formal recognition of who owned the land, or of how much rattan was being harvested. 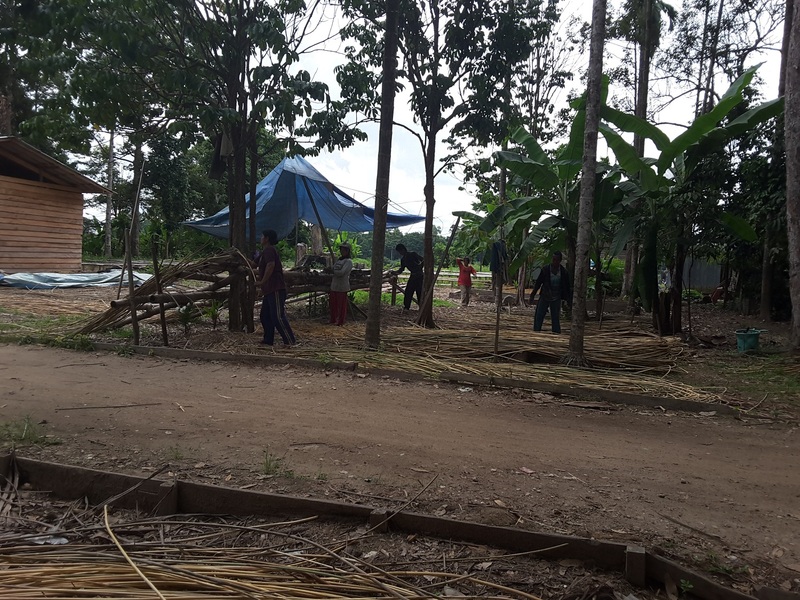 WWF worked with the community, village leaders and local authorities to map and legally register land ownership, and to conduct a survey to determine the volume of rattan on farmers’ land and how much can be sustainably cut each year. WWF also supported P2RK to register as a business, establish a management plan, and put in place a system for recording harvesting and transportation. 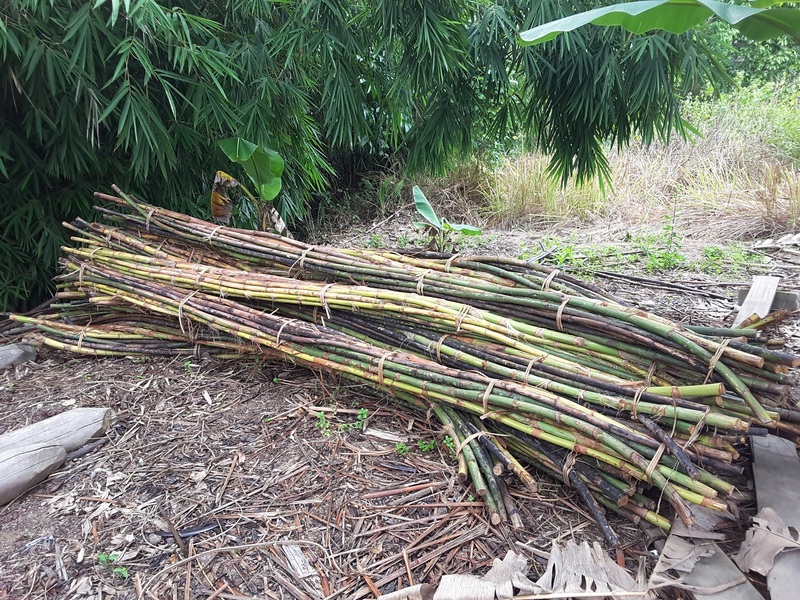 P2RK now has a fully traceable chain of custody system, meaning the rattan can be tracked from the field to the processing plant. Currently, 209 farmer members can harvest a maximum of 29 tonnes dry weight of rattan per month, on an area of 691 hectares. To ensure sustainability, plants can only be harvested every two years, once they have reached maturity, and are cut selectively rather than in whole clumps. WWF-Indonesia has calculated that in five years P2RK will manage 11,791 hectares, reaching 474 tonnes dry weight per month as more members join. There are also plans to replicate the programme across the landscape. The project has been financially supported by IKEA, through their partnership with WWF. The Swedish home furnishings giant uses rattan in more than 100 products, from outdoor furniture to baskets and lampshades. From the beginning of 2018, IKEA will include rattan within the scope of its forestry standard – meaning all suppliers will need to meet minimum standards, and start working towards more sustainable production. “This is a new area for us and our suppliers, so we’ve been working with WWF to define what more sustainable rattan production would look like, and understand issues like tenure rights and traceability from forest to furniture,” says Mikhail Tarasov, IKEA’s Global Forestry Manager. 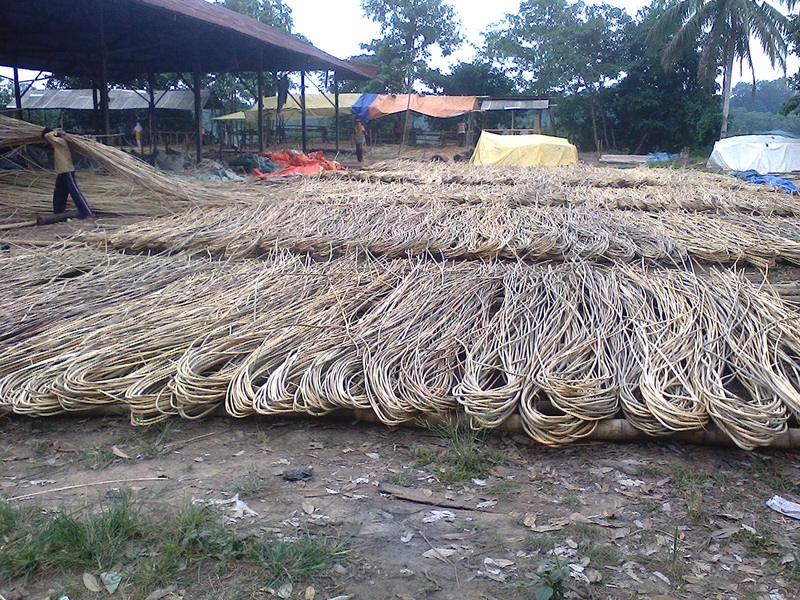 Rattan harvested from well managed forests. © Kurniadi Camba / WWF-Indonesia. Rattan harvest in the village of Kuluk Leleng. Traditional rattan processing in Tewang Tampang village, Indonesia. The process of drying rattan. Traditional rattan processing in Tewang Kadamba village.